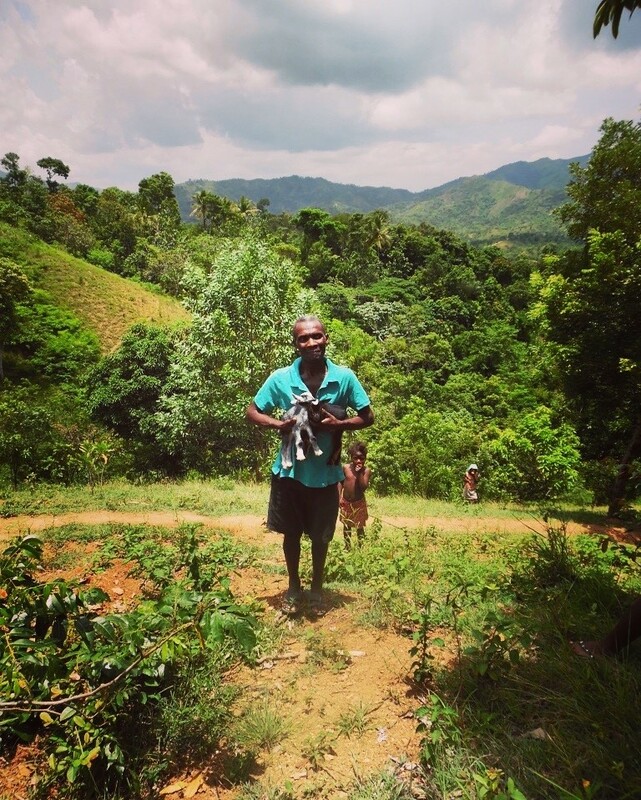 July marks one year that Solisyon Kominote Yo partnered with the farmer’s cooperative Asosyasyon Fanmiy Agwoekolojik Kotlet (AFAEK) to begin a goat breeding project in the mountainous region of Saint Suzanne. Since the first distribution of goats in January 2016, AFAEK has distributed 55 of the 66 goats to members of AFAEK, with the batch being distributed this month. Already 7 baby goats have been born and 14 are pregnant, proving that the the project is off to a good start. The baby goats will wait 6 months until they begin to be distributed to other AFAEK members throughout the Cotelette region. A beneficiary with his two baby goats. Salnave, the Co-Founder of AFAEK with his goat in front of his house in Cotelette. 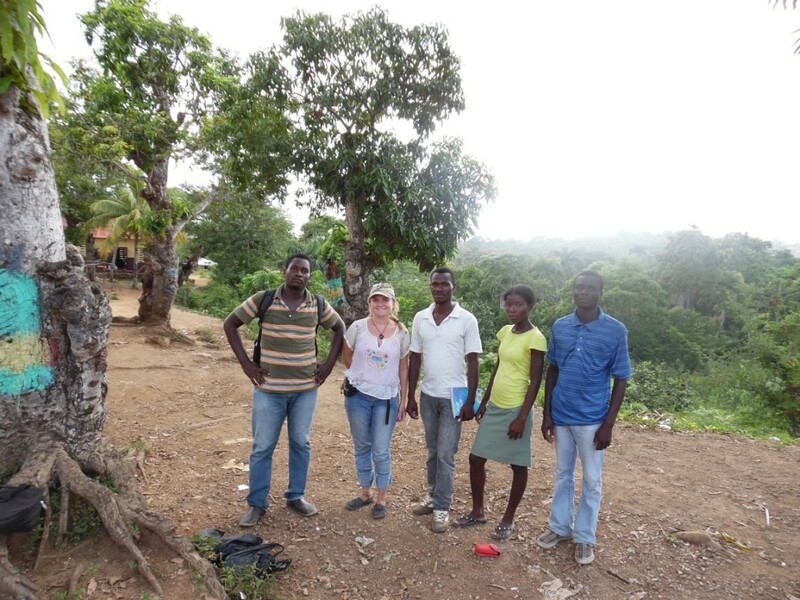 Before this project began, Solisyon Kominote Yo, with the support of the International Finance Corporation, were researching ways to support agricultural development outside of Ouanaminthe to address the stressing food scarcity in the northeast region of Haiti. The goat breeding project was introduced to support animal husbandry in the region and provide market access for the beneficiaries. AFAEK, the local farmer cooperative, has worked very hard to make the project a success and ensure that the beneficiaries receive extensive trainings on how to care for the goats, the proper infrastructure needed for the goats, and are also taught the best way to help a goat reproduce. 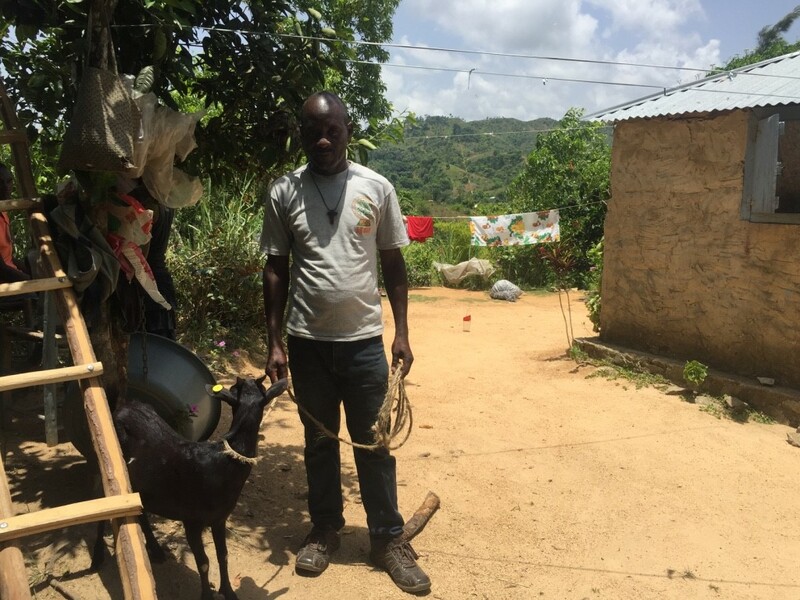 The project has demonstrated the importance of innovation in the field, because when try something new it gives the possibility to create increased opportunity for the community and a new source of income for the goat owners. 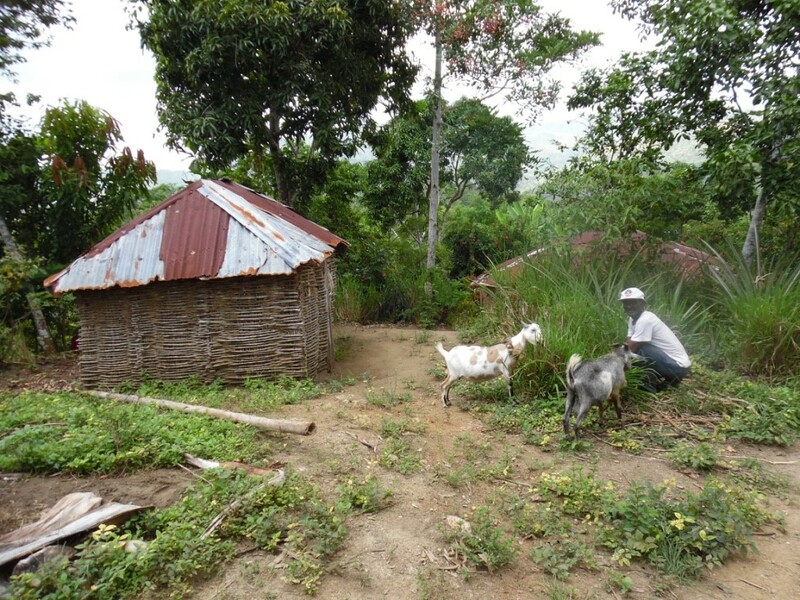 A beneficiary in front of the shelter that he constructed for his goat. The project has also proved the results of a strong partnership, as Solisyon Kominote Yo is continuing to develop projects to support the community members in Cotelette, for example beginning SolkomYo’s financial services program to AFAEK members. Members of Solisyon Kominote Yo and AFAEK during a monthly meeting in Cotelette.